You can also make a difference by supporting our programs with your time. 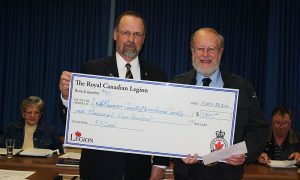 The Lighthouse Country Marine Rescue Society is the charitable organization that supports RCM-SAR Unit 59 Deep Bay. Our society raises funds and performs administrative duties for SAR Unit 59 empowering our members to upgrade personnel training, boat maintenance, public education, rescue gear and epuipment. Consider Leaving A Legacy to The Lighthouse Country Marine Rescue Society. For information about legacy gifts, please visit: www.LeaveALegacy.ca – there is a Vancouver Island chapter available to assist you with your questions. … and be one of our local heroes! Click here to find out how you can join our team!